With an active sales season corresponding with the current ski season, The Lion condominiums in Lionshead Village has sold 63 percent of its inventory, said Matt Fitzgerald, branch broker of the Slifer Smith & Frampton Real Estate Lionshead office and The Lion’s listing broker. The Lion has sold 29 of its 49 available residences since launching in late 2017. Fitzgerald noted that emphasis on guest service, particularly with a dedicated ski concierge, has been “a big hit” this ski season. This service includes the launch of a new low-speed electric vehicle which shuttles residents and guests to and from the slopes. 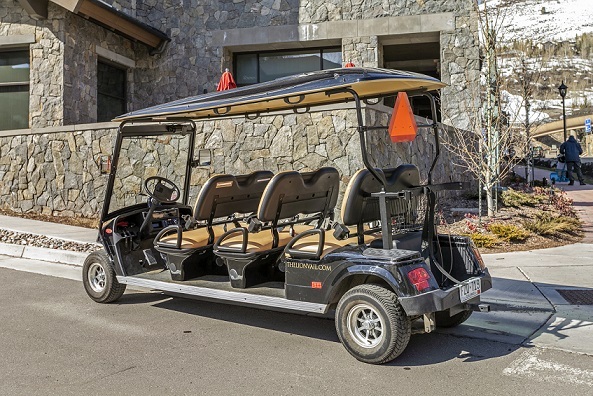 Named “The Toboggan,” it, along with the ski concierge, makes the short trip from The Lion to the Lionshead Gondola part of the guest service experience. Available residences at The Lion include two- to five-bedroom residences that include oversized ski lockers with built-in, double boot driers; a huge outdoor salt-water hot tub; an indoor infinite current lap pool and salt-water hot tub; a fitness center with steam room and an entertainment room suitable for kids and adults. It also has a three-level, 167-spot parking garage. For more information regarding the Lion, please visit LionVail.com. Apr 23, 2019 We've Grown!